Yesterday, the girls and I were finishing up the last mile of our 15 miler when we got a heads up about the practice swim for the Iron Man competition. In unison, we agreed to detour to the Waterfront and catch a glimpse of the athletes taking a plunge into the Ohio River. We were observant of the muscular and solid body types of triathletes in contrast to the leaner marathon runner physiques. Thoughts were running through my mind of how much training and dedication goes into completing a triathlon. Suddenly, our 15 mile training run was like nothing compared to what Iron Man athletes endure. Earlier this week, I read an article about the benefits of cross training to provide longevity for runners. I don’t want to be one of those people who says “I used to run but my knees…” The article suggested a Triathlon Sprint was good for newbies. I know I can handle that. A challenge for me would be to complete a half. 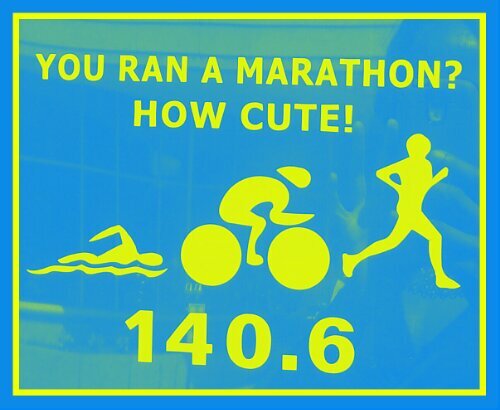 Here I am almost two months away from my 1st marathon and I am already thinking about a triathlon. That’s just how my mind works. I want to remain healthy and looking good. Our 15 mile run was stretched to a 16 miler but it was worth being motivated to take my fitness to another level. I was so moved that my Mom and I went to the course after church. 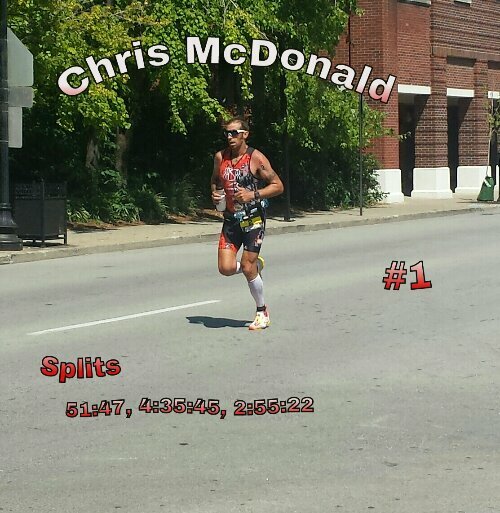 We got there just in time to see the 1st place male, Chris McDonald about half way through his marathon. This guy still had a smile on his face and appeared very alert. 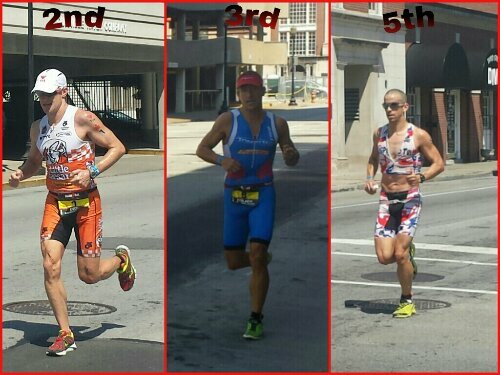 We saw a few more triathletes as we headed to 4th Street Live! to peep out the finish line area. 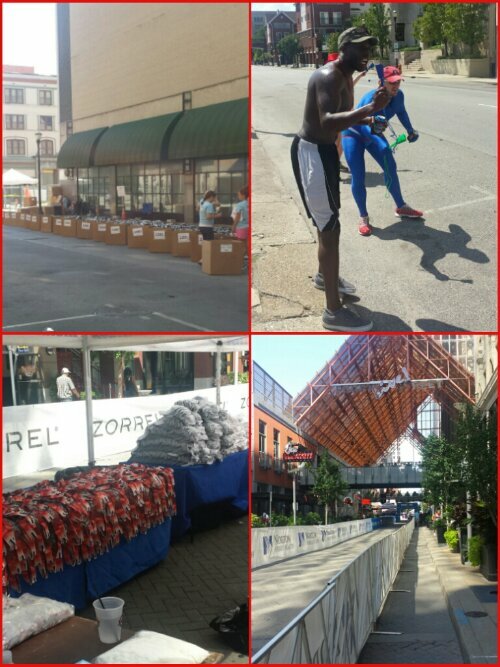 Could you imagine so many volunteers coming out to help you have a successful completion, running through this finisher’s chute and receiving an Iron Man medal? All these triathletes deserve it. After my Mom and I chatted with spectators and absorbed more positive vibes, we headed back to the 14 mile marker and saw the 1st place female, Kate Bevilaqua. What an inspiration! You better Go Girl! I’m gone off her marathon time alone. What do these people eat? How do they train? Over the next several months I will be reading about this stuff as I continue to take on various distance races. 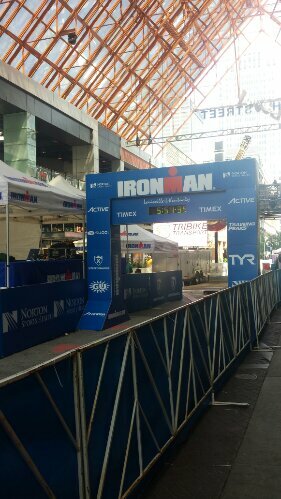 This entry was posted in Louisville, running and tagged Louisville, Marathon, Running, Triathlon. Bookmark the permalink. 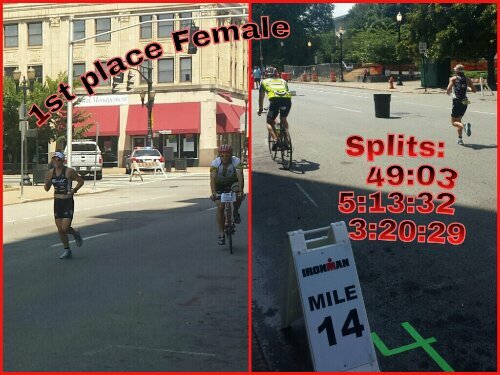 An Ironman is a whole different beast. My friend Andy did last year’s here in Louisville. These athletes inspire me. I’m not a strong swimmer…so that is something I need to work on…and currently I can’t afford a road bike…but I can cheer and I did!! Loud and clear. I met some ladies from ATL and they told me to get a used bike. Just make sure it is a bike that you are fitted for. Road bikes are custom to your height, I learned.